Copied below are messages sent to the club by visiting anglers Dave and John. Myself and friend Dave enjoyed a good day on the Kyle today. We got our permits from the store in Ardgay this morning at 7am sharp. High tide was 6.37 , we did not buy tags as we were happy to catch and release. I had two nice grilse at 8lb and 6lb and Dave had one around 4lb. We had a good chat with Kenny the bailiff and he gave us some more information about the Kyle. We handed our returns into the store on the way home. Thanks again for your help and information. 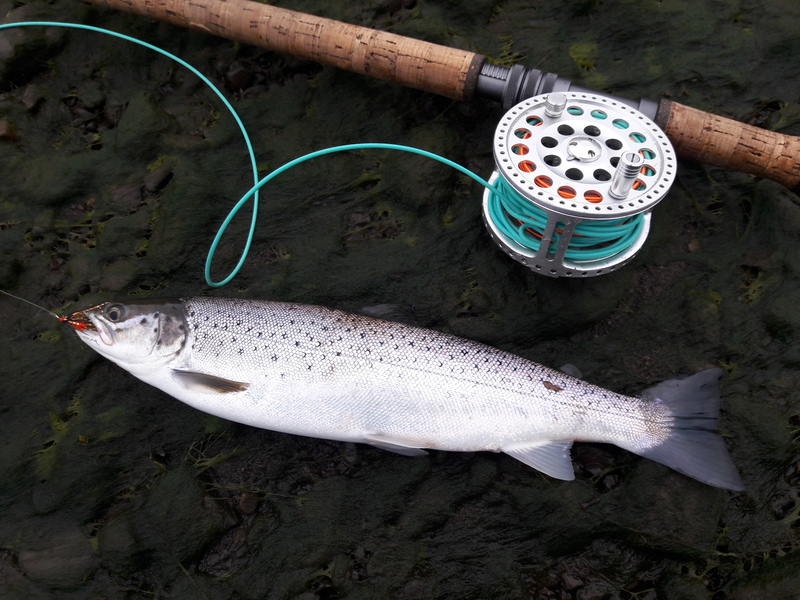 If you are fishing in the Highlands and are struggling with the drought, why not give the Kyle of Sutherland a try. Visitor tickets for KOSAA are available from Ardgay Stores & Cafe, FishPal or from our river watcher Kenny at the old ice house next to the road bridge.